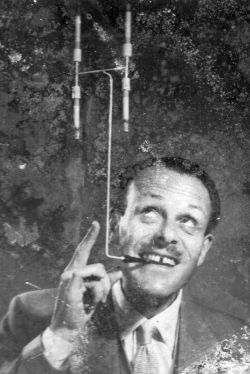 The comedian and character actor, Terry Thomas, had became well known through his many film, radio and television roles during the 1940s and 1950s. His irrepressible, eccentric style, distinctive voice, striking dress sense, monocle, waistcoat and cigarette holder - and particularly the distinctive gap in his front teeth - came together to make him one of the best loved comedians at that time. The day was a complete success, much enjoyed by all - so much so that Terry Thomas returned three days later for a private visit! 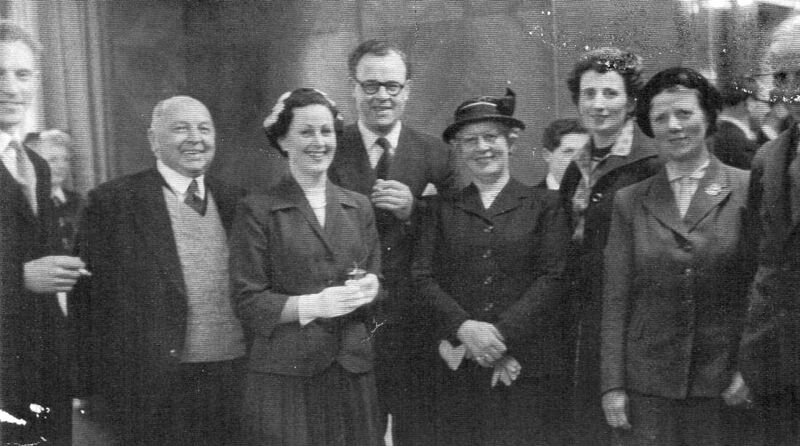 Alex Owen with Terry Thomas, surrounded by guests, family and staff. Alex's wife Marion, is on the left, with the black choker, standing with his sister Marjorie. 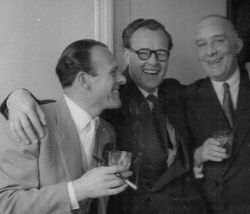 Terry Thomas, with his trademark cigarette holder, with members of the staff. 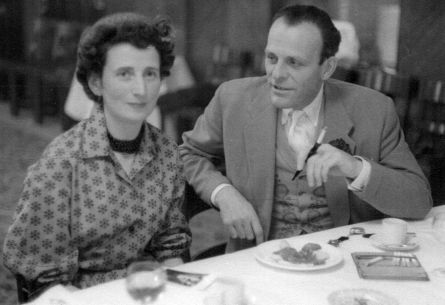 Alex Owen and his wife Marion are on the right. 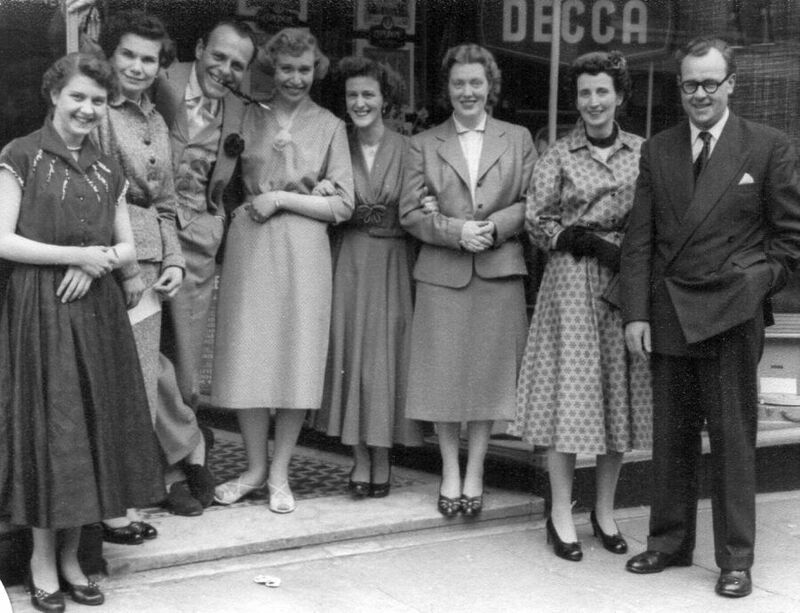 Standing next to Marion Owen, with clasped hands, is Dorothy Day who, at some point, became Alex's PA.
She left the company in 1959 when she and her husband and family moved to Belper - but kept in contact through the Alex Owen Shop on King Street, Belper ! Left to Right : Hubert Ash (brother-in-law), Charles Alexander Owen (father), Marjorie Ash (née Owen - sister), Alex Owen, Kitty Owen (née Gregory, mother), his wife Marion (née Kelham), Louie Kelham (his wife's aunt) and (possibly), Ernest Walton Kelham (his father-in-law).